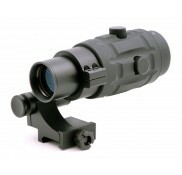 DESCRIPTION: MINI RED DOT WITH ON & OFF SWITCH MAGNIFICATION: 1X OBJECTIVE DIAMETER: 23.5 X 16..
MAGNIFICATION: 1X OBJECTIVE DIAMETER: 24.0 X 34.0 LENGTH: 3" N.W. 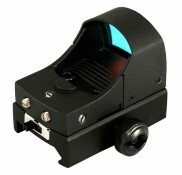 (OZ): 4.2 CLICK VALUE @ ..
Power: 1X Obj.aperture: 1.3'' Field o.V. 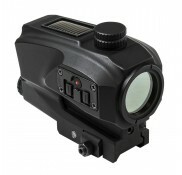 : 15.8m@100m Output: 1mw ..
Instantly converts a CQB red dot sight into a 3x long range sniping scope Adjustable windage and el..
SPD has a dual power source. 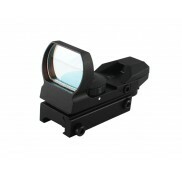 The Red Dot reflex optic can be powered by the sun via the top mounted ..